On June 11, 2018, Coinbase announced that it was bringing Ethereum Classic back to its platform after its removal since the Ethereum fork in July 2016. 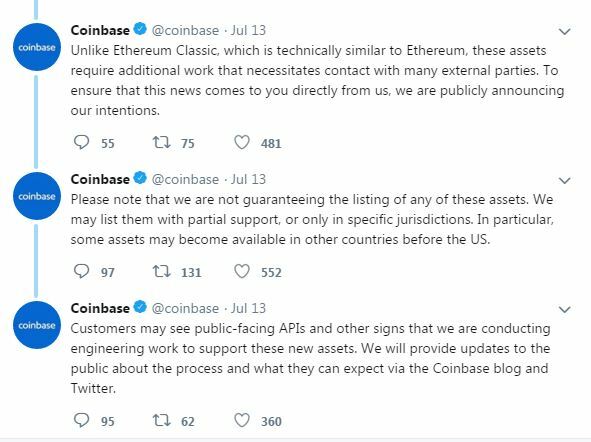 Shortly after, on July 13, Coinbase announced that they are considering the possibility of adding 5 coins to their platform. The coins are Cardano (ADA), Basic Attention Token (BAT), Stellar Lumens (XLM), Zcash (ZEC) and 0x (ZRX). However, this tweet was quickly followed by further information to prevent any misunderstanding and misrepresentation, similar to what was experienced when Bitcoin Cash was to be listed. When Bitcoin Cash was added on December 20, 2017, many blamed Coinbase staff for having prior knowledge and buying excessive BCH on other exchanges, which increased the price by 300% on the Coinbase platform that day. Coinbase has created this system of announcing coins they are considering to list in order to be more transparent because they understand that addition to the platform affects the trading sentiment for a coin. Yet even a statement of intent from Coinbase has an impact on coin price. 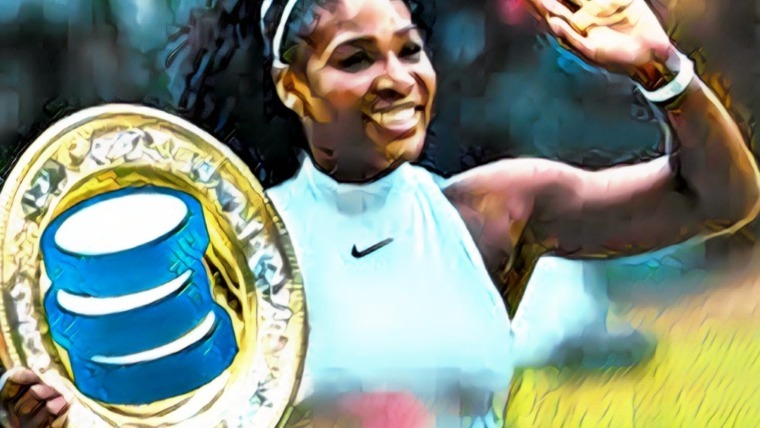 In this instance, the 5 coins mentioned have surged considerably in value since the announcement. A lot of noise has been circulating in the crypto world since this announcement, particularly from community members of other coins. Some are very unhappy that their coin was not listed among those under consideration despite the fact that Coinbase created their Digital Asset Framework for listing new coins in November 2017. The information from the Digital Asset Framework allows us to understand the choices made by Coinbase, and perhaps makes it possible to anticipate what their choices will be in the future. The assessment a coin undergoes to become listed on Coinbase is made clear by this framework. There are 6 sections, namely; Mission and Values, Technology, Legal and Compliance, Market Supply, Market Demand, and Crypto Economics. The first thing Coinbase wants to know about a coin is if it consistent with their mission and values. Coinbase believes the coin must be available to everyone and not controlled by a single entity. It must be a new or improved technology that creates or adds value in a specific way. It must foster economic freedom and equality of opportunity. And finally, it has to be decentralized. In the technology section, there are a number of areas of interest. The code must be open-source, well-documented, and tested by non-team contributors. There must be a working prototype (at least) and the response to vulnerabilities disclosed on the network must be solid. The team will be verified and they must be discovered to be competent enough. There must be a viable long-term operating plan, clearly described in the whitepaper. And finally, the network must show considerable ability to scale, grow and handle user adoption. In the legal and compliance section, Coinbase wants to be sure that offering the coin (or asset) on their platform will not breach any law or regulations. The coin must definitely not be a security under US law. It must not deter Coinbase from meeting its regulatory obligations or contradict their company policy for users. In the market supply section, Coinbase wants to know how liquid the asset is and where it is currently trading. Market capitalization, circulation, how easy the asset is converted to another asset, number of exchanges that support the asset, fiat and crypto pairs, (and more) are what they expect to know. In the market demand section, Coinbase wants to know what is driving the demand for the asset and how demand affects the network. Also, they want to know if the network is fundamentally growing. Lastly, in the crypto economics section, Coinbase wants to know if the economic structure is properly designed to incentivize all parties to act in the best interest of the network. Also, if there was a token sale, they want to understand the token sale structure. Cardano is a smart contract platform offering fast transactions, allowing decentralized apps to be built and delivered in a way that is low cost, secure and scalable. Read “What is Cardano” to get a deeper look at the project. Cardano’s Settlement Layer (CSL) is already available for installation on Windows and MacOS and there is also a functional wallet for the ADA coin. 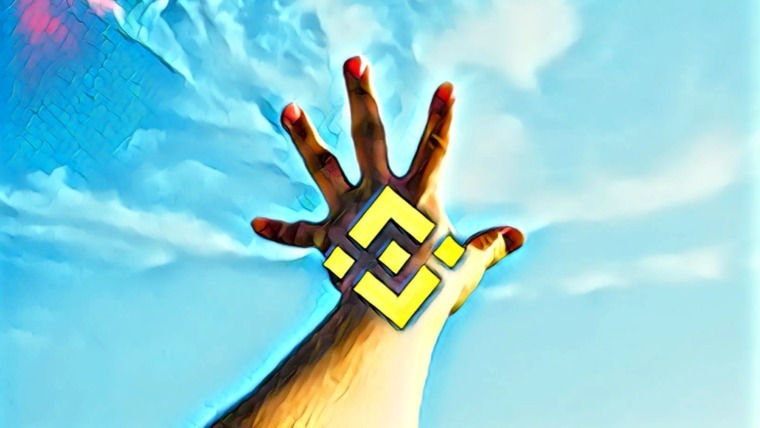 The project has published a long-term roadmap and a growing community. 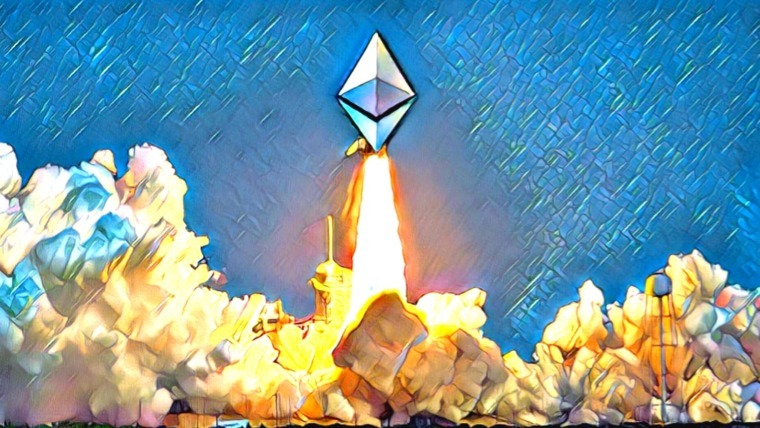 A recent milestone they hit was the launch of their KEVM testnet, which is the first time a formal schematic of the Ethereum Virtual Machine has been produced. With key figures like Charles Hoskinson (one of the co-founders of Bitshares and Ethereum) and Michael Parsons at the helm, Cardano is poised for more progress and a Coinbase listing could raise their market cap further. Basic Attention Token aims to transform the digital advertising space, thanks to its Brave Browser. The BAT token will allow user in the online ecosystem — publishers, advertisers, and users — to interact in a more equitable and fair manner. to be Read “What is BAT” to get a better understanding of the project. We listed BAT as one of the projects that could join the billion dollar club, and it looks like Coinbase has taken notice of their potential as well. Check out the BAT roadmap to see what else is in store for the project. Stellar is an open-source protocol for value exchange, with the Stellar Lumens coin (XLM) as the native asset used for facilitating exchanges. The project was founded by David Mazieres, Graydon Hoare (creator of the Rust programming language), and Jed McCaleb. What makes Stellar stand out is that it has a consensus protocol that allows an individual node to choose the set of the other nodes they trust as a group to give them accurate information about the state of the Stellar network. Get a more in-depth look at the project in our guide to Stellar. Stellar has announced that they are working on integrating with the Lightning Network by the end of the year. They have also indicated that there are ongoing discussions with a few central banks about the possibility of issuing central-bank-backed digital currencies on the blockchain. Other key items on their 2018 roadmap is the launch of SDEX and enhancing their ecosystem. With so much going on, an addition to Coinbase could move this Top 10 coin into the Top 5. ZCash is a cryptocurrency which enables users to protect the privacy of their transactions at their discretion, thanks to the use of a cryptographic technique called zero-knowledge proof. This not only protects the addresses of those involved, it also protects the amount transacted also. The ZCash mainnet has been live since 2016. Recent developments include a listing on the Gemini exchange, technical updates and a new roadmap. Up next is the launch of Sapling in October 2018 which will address the issue of memory consumption associated with transaction privacy. A listing on Coinbase would make ZEC available to over 20 million consumers. Check out our opinion article “Should You Invest in ZCash” for more insights on the cryptocurrency. 0x is an open protocol that allows ERC-20 tokens to be traded on the Ethereum blockchain. The protocol allows off-chain order books for exchange and then host transactions on the blockchain when orders are set to be filled. This reduces the fees connected to the Ethereum blockchain and reduces the congestion on the Ethereum blockchain. There are already over 30 independent projects that have been built on the 0x protocol. This includes decentralized exchanges, relayers and dapps such as Augur and Request Network. The 0x protocol can be also used for token sales to achieve true decentralization and it has the potential of being integrated to other blockchains in the future. The project has been consistent so far with its roadmap as outlined in the whitepaper. We think that 0x is worth keeping an eye on, and its addition to Coinbase could see this project soar. 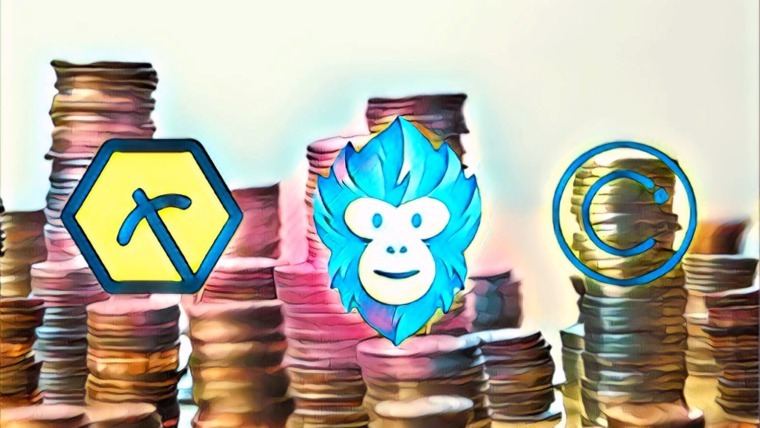 In March 2018, Coinbase announced that it would begin to look into adding ERC-20 tokens, and it’s worth noting that in this list of coins, ZRX and BAT are ERC-20 tokens. This signifies an important milestone in the growth of cryptocurrencies and cryptocurrency adoption. It must be noted however, that some coins may not be given the privilege of a local wallet. For those, it will be just for buying and selling. 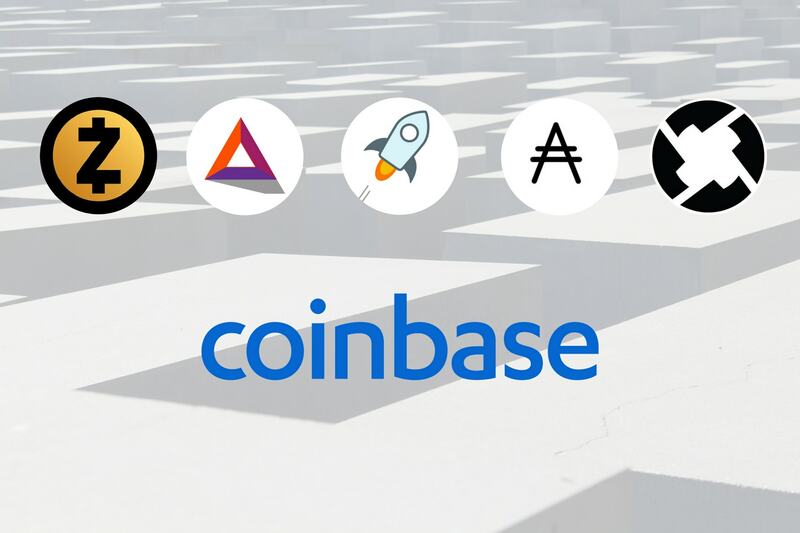 It’s important to remember that the Coinbase announcement is not a guarantee that these 5 coins will be added. Furthermore, no date has been given on when these coins could be listed. We’ll keep an eye out for further announcements from Coinbase!